Def Leppard will play a free club show in West Hollywood on 6th June that will be filmed and broadcast a day later by YouTube. The band will also answer fan submitted questions after the show which is part of the YouTube Presents series. The show takes place at the House Of Blues in West Hollywood, a venue played by Vivian Campbell with Steel Panther on 28th May, and it starts at 2:30pm local time. Entry for fans to this special event will be free (first come/first served). 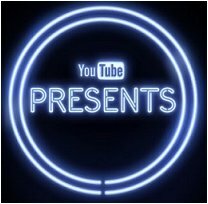 The show will be broadcast on YouTube (on the YouTube Presents channel) from 12pm PT (8pm UK time) on Thursday 7th June. The band will also be guests on Rockline on 6th June in the evening after their club show. The band have played two club shows in the USA before this (see below). Other notable club shows have taken place in London, Exeter and Buenos Aries. An event to help launch the 'Euphoria' album sponsored by KLOS radio and hosted by Mark And Brian. The band played a full electric set during the day and were interviewed. An acoustic show to raise money for the Georgia Special Olympics which took place a day before their main show in the city.